Not everyone is comfortable purchasing typewriters online from a site they may have never heard of, but we are pleased to provide some feedback/notes from previous customers! ​There would be plenty more to view, but unfortunately our website provider removed the forum feature which was previously used as a customer feedback page. Not only was the feature removed, but so were all of the wonderful posts from our customers over the past several years. "I am very satisfied with this purchase. I found the many photos helpful in my decision to make the purchase. Also, the description of the machine was very accurate. 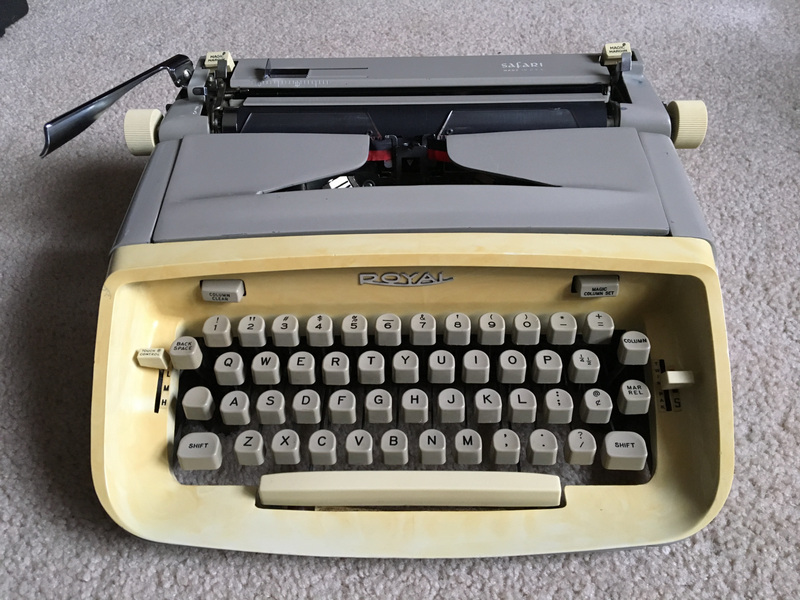 The machine works perfectly and is amazingly clean and restored. 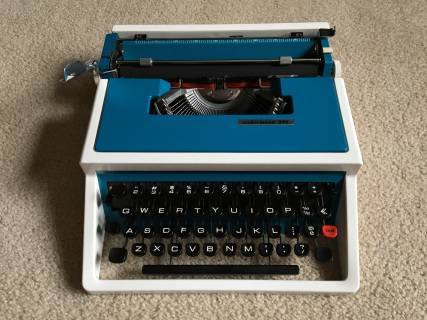 The typewriter was packaged very well." ​"I'm delighted. You did a great job of restoring. I see that it was made in "Western Germany" in 1963, the year that I left Munich after 8 years as an expat, so we have an affinity. 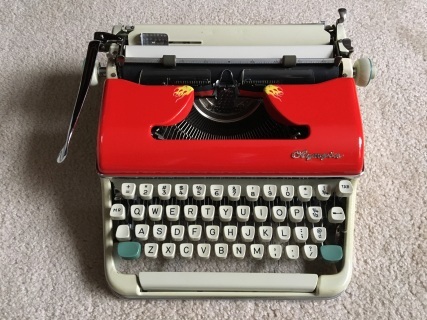 My last typewriter was an Olivetti. I have no idea what happened to it. My motor memory is now being tested, after these decades with the dratted computer. Where's the numeral one? Oh! Lower case l. Where's the apostrophe? NOT the cent sign, which doesn't even exist on the dratted computer. The only thing the dratted computer does better is substitute for WiteOut. I could have done without the yellow blazes, but the red is delightful. Touch is great. This machine is wonderful. Thank you thank you!" "I have had my typewriter for three months now and am so pleased with it. The typewriter was in the shape exactly as described, and it is beautiful. It was well packaged and arrived in a timely manner; the red and black ribbons were already installed. As this was my first typewriter ever, I had to look up the manual and finagle a bit to figure out how to manipulate the righthand margin, but overall it was ready to use. I type on it often. 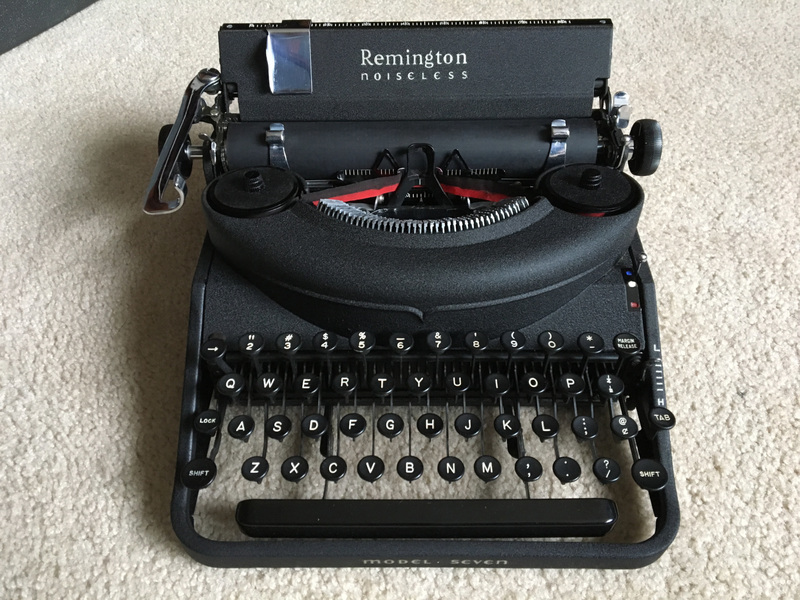 It is sturdy, enjoyable, and a fine piece of revived machinery. Well done." "beautiful and working great. shipped on time for my wife's birthday and she loves it." 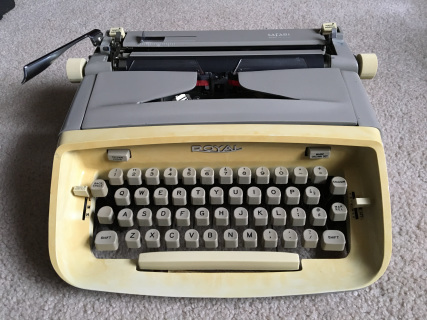 "I had to adjust the upper and lower case registers so they would align, but other than that, everything was speedy, in working order, and very clean and nice." 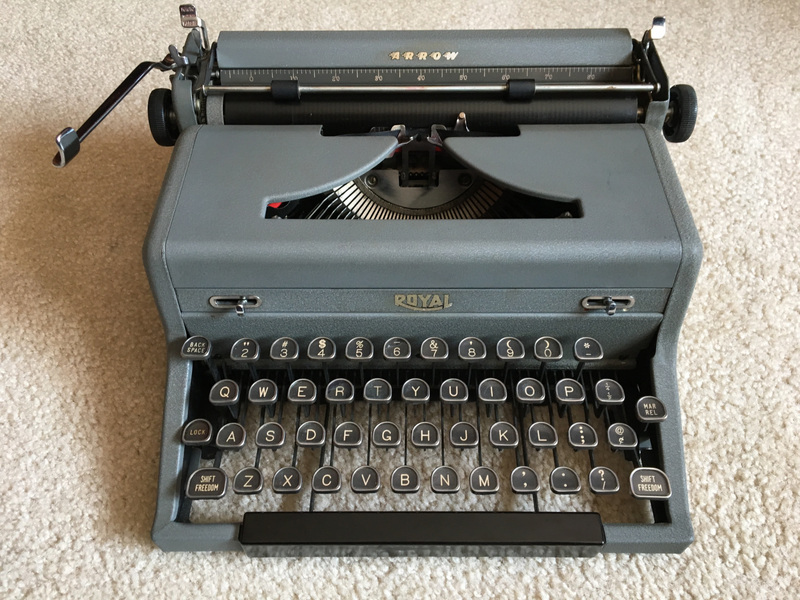 ​"For a 56-year old machine, my Royal Safari works amazingly well. The keys were a little sticky at first but a few minutes' use loosened them right up. 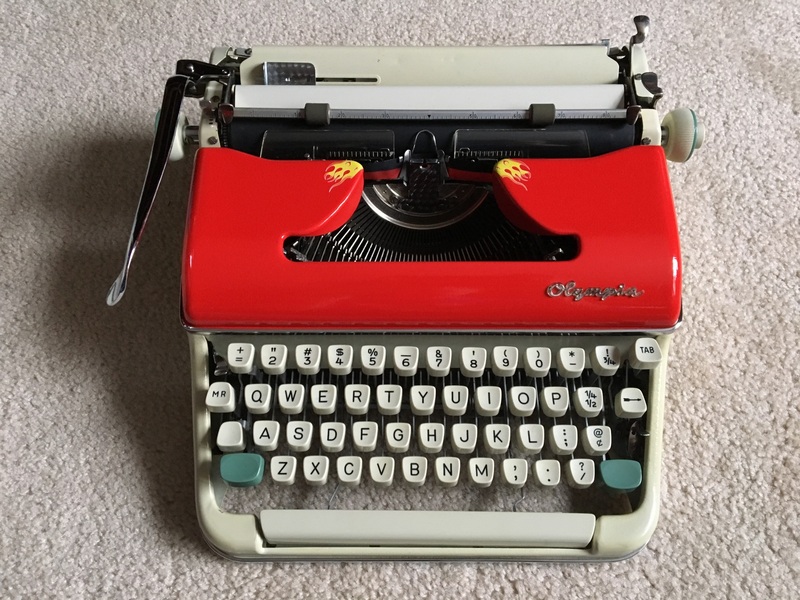 The mechanism that raises the ribbon so you can type in red continues to stick occasionally, but pushing it back down is not a big deal. The biggest payoff is the fun of using it. I'm a fan of old things that still work and in addition to the Royal own and use daily a Bakelite rotary dial telephone from the 40's and in good weather drive a 64-year old car with exactly three (count 'em) gauges. 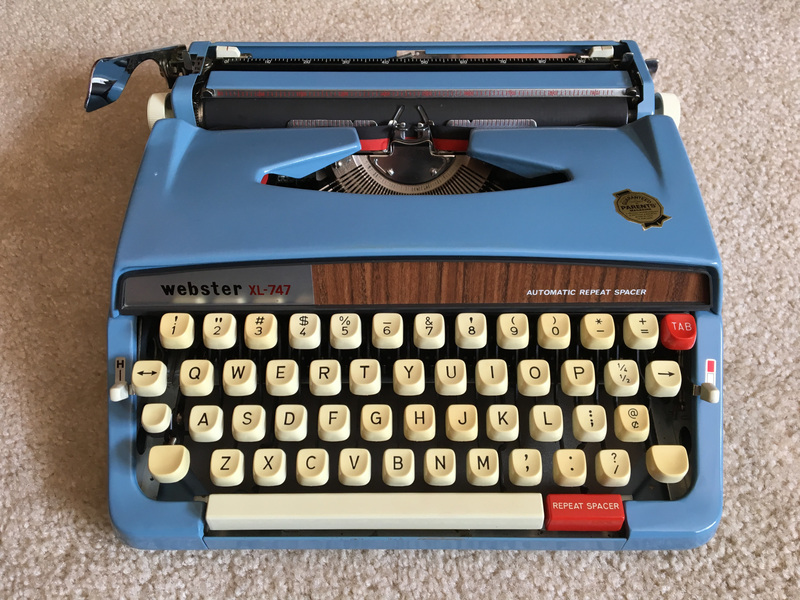 We have it too easy these days, and dialing, driving and TYPING the way we did it when I was a teenager is just a blast. 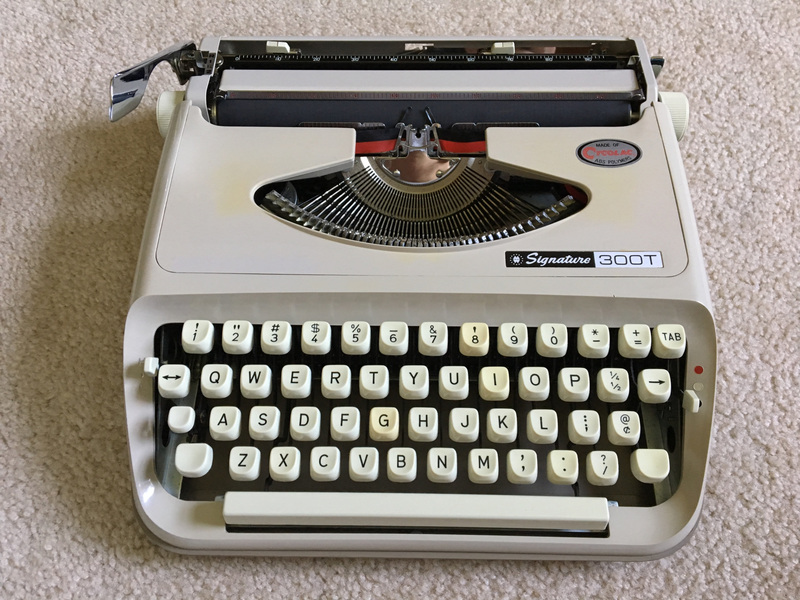 I'm grateful to Typewriters 101 for their part in making past technology an active part of the present." 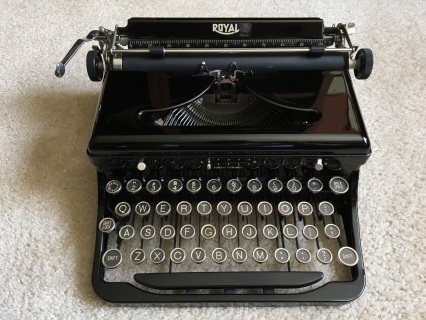 "I love my typewriter! I am a first-time typewriter user, and it didn't take me very long to get it set up and running. It took me a little while to be able to type evenly, but everything works great!" ​"Even better than pictured. Works (types) like a charm. The strike is crisp, clear and aligned. Something over 80 years old should not be 'new', but it has obviously been well taken care of and maintained and I'm sure I will be able to type 'Happy Birthday' when it (not me) hits 100. Very happy with this purchase. A solid connection to a time when craftmanship made the difference. Thank you.